What types of golf clubs do you purchase? We purchase all the major brands including TaylorMade, Titleist, Callaway, Ping, Cleveland, Adams, Bridgestone, Cobra, Odyssey, etc. There are currently over 3500 clubs in our database. However, if you do happen to have a club that isn't showing, let us know because there is a good chance we would be interested. How do I know that you are a reputable business? The best place to find out whether we are a reputable company is to check out our eBay store and feedback by clicking here. We have been on eBay since 2006 with over 3,000 positive feedback and a 99.9% feedback rating. We are a platinum level Power Seller and a Top Rated Seller. How do I know that you will honor the value quoted on your website? It is not necessary for us to change the offer very often, but it does happen on occasion. It only occurs when the customer selects the wrong category for his clubs. The majority of clubs will fall into the ‘Good’ category. Clubs with major sky marks or large scratches will fall into the 'Poor' category. In order to qualify for the 'New' category, the club must have never been hit and it must include all original accessories. If you follow these guidelines, you will receive exactly what is shown on the website. For a better understanding of how we run our business, please check out what over 1000 actual customers have to say about us on Shopper Approved. Can you explain exactly how the process works? To start, you will need to select clubs from the drop down menus on the right and add them to your cart. Once you have added all items to your cart, you will need to click the 'Continue' button. The next page will require you to fill out some basic information about yourself so we can contact you if needed and have your address to send your check to. If your order ends up being over $100, you will receive a pre-paid UPS shipping label in your email. From there, you will need to print it out, tape it to the box, and drop it off with UPS or schedule a pickup. Once these steps are completed, the rest is up to us. Once we receive your clubs, we will inspect them to make sure you accurately described them. If everything checks out, your payment will go out within 24 hours. If there is a problem, we will send you an email with the adjusted offers for you to approve before sending payment. Does Golf Club Brokers buy antique golf clubs? Unfortunately, we do not buy antique golf clubs. We do not have any expertise in the value of antiques and try to stick to newer clubs which we know more about. I do not see my club in your list; does that mean you will not accept it? Not necessarily. The quantity of different clubs manufactured makes it difficult to keep our database updated. If you don’t see your club in the list, send us an email on our Contact page and we will let you know if you have something we would be interested in. Does Golf Club Brokers accept brand new clubs for trade-in? Yes, we do accept new clubs with a couple of requirements. In order for your club to be considered new, all accessories (head covers, wrenches, etc.) that came with the club originally will need to be included. Also, it needs to have never been hit whether in a store, on a simulator or outside on the range or course. If we can tell it has been hit, it will be placed in the ‘Good’ category. Do you offer more for clubs with upgraded shafts? We are sometimes able to offer more for clubs with upgraded shafts as long as the work was professionally done. Please contact us with the details of your club and we will let you know if we can offer you more. Why should I trade my golf clubs? There are many good reasons to trade in your golf clubs, but the number one reason is to put the cash toward a new set. Here at Golf Club Brokers we pay cash instead of store credit so you can shop around and find the best price without being tied to a single store. If you look around, you will see that the majority of our competitors are giving store credit to force you to buy from their store with your trade in money. What if you want to trade in your golf clubs to purchase something totally unrelated to golf? With them you don't have that option, but with us you do. Why use Golf Club Brokers for my trade in? Unlike some of our competitors who take weeks to send out your payment, we send your payment by the next business day. If you need your cash even faster, we offer a Next Day Air option. Orders over $500 receive this option for free. 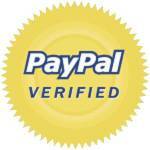 We also give you the option to receive your payment by PayPal on the day your trade in arrives. If we do need to change the offer on your clubs and you aren't satisfied, we will ship your clubs back to you free of charge. We have over 2400 reviews on independent website Shopper Approved with 4.9 out of 5 stars. We have been on ebay for over 10 years and have over 16,000 feedback with a 99.9% rating. We buy all major brands like TaylorMade, Titleist, Ping, Callaway, Adams, Cobra, Odyssey, Scotty Cameron, etc. and many more. If you do not see the club you are looking to trade in our list, contact us and let us know. We very well may be interested. We also buy range finders, golf balls, gloves, etc. If it is golf related and has value, contact us for more information about what the offer might be.